I'm a passionate woodworking enthusiast of over 28 years, with an interest in the methods of pre-industrial joiners and cabinetmakers. I'm a furniture maker, teacher, and author, and I share my thoughts and experiences on my blog, the Hand Tools and Techniques woodworking podcast, and on my YouTube channel. 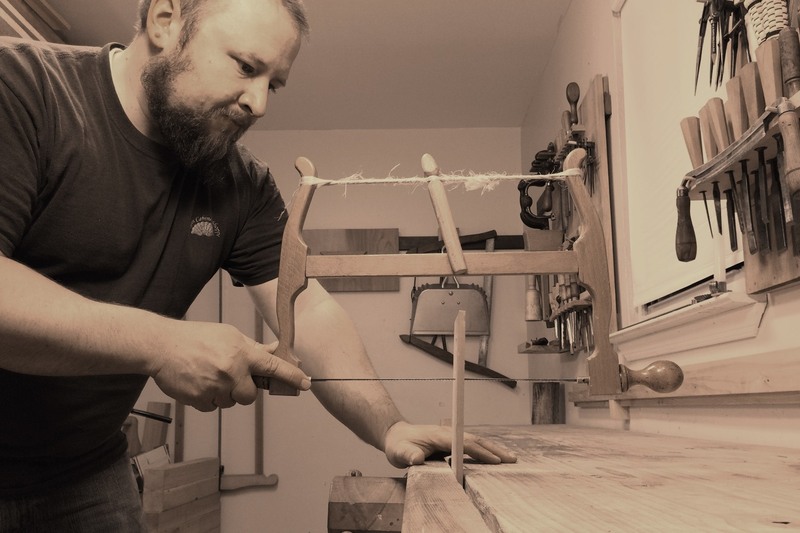 My goal is to educate and inspire others who are pursuing the craft of traditional woodworking, from a historical as well as a contemporary perspective. In addition to writing about and demonstrating traditional woodworking, I also build commission pieces for customers, and speak at woodworking shows and seminars. I've been blessed with a wonderful, supportive wife, and two beautiful daughters who have learned to accept that dad has sawdust in his veins. When I'm not in the workshop or teaching classes, I can be found spending time with my family, working on our homestead in rural southwestern Virginia, floating the New River with a fly rod in hand, or somewhere in the woods, basking in the wonders of nature's majesty.